Viacom International Media Networks has launched its first mobile video streaming app in central and eastern Europe in partnership with Telenor. Telenor customers in Serbia will have free access to long-form content through the Nickelodeon Play VOD mobile app from today. 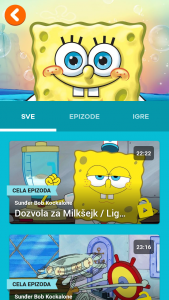 Telenor is also set to debut Nickelodeon Play in Montenegro in October and it is expected that the app will launch with more CEE affiliate partners in the coming months, according to Viacom. The Nickelodeon Play app will offer access to both full-length episodes of iconic Nickelodeon animation series and short form content. It launches with a line-up of content including SpongeBob SquarePants, Teenage Mutant Ninja Turtles, Game Shakers, Alvin and the Chipmunks and Paw Patrol.